App uninstalls are one of the hot topics of the year for app marketers and product people alike. Indeed, many expect that uninstall marketing will dramatically increase in adoption in 2016. But the great thing about the app industry is that it isn’t full of hand-wringers. App people quickly formulate strategies and plans, and they take action when an issue like app uninstalls impedes their ability to deliver strong business results. And make no mistake, when the user chooses to remove apps, the loss of potential revenue and engagement is like a nasty business tax that impedes your ability to grow the business and deliver on your KPIs. So we can agree that uninstalls are a big problem. As more and more companies learn about their mobile app uninstall rates through information sources such as our just released Uninstall Attribution measure, it’s natural that they are seeking ways to reduce mobile app uninstalls by delivering better product experiences. We’ve talked to a range of folks in the industry about this major challenge, and eight key strategies kept bubbling to the surface. We’ll get to those in just a minute. But before we get into those, we need to make sure that we keep our core app benefit top-of-mind throughout the development and optimization process. To underscore how important this is, we’re going to focus on the use case of being app developers for a hypothetical travel app whose core benefit is the awarding of points for every action the user takes in booking and experiencing travel products. Imagine for a moment that you are awarded points for transportation bookings, hotel stays, buying tours, booking restaurant reservations, etc. These points can be used for discounts on future travel purchases. In other words, you can book on this mobile app, as you can on other apps, but the core differentiating value prop are those points you can use for discounts. OK, now that we have that foundation, let’s discuss the eight uninstall marketing strategies and use our hypothetical app as our example for each. So now that we’ve reminded ourselves of the raison d’etre for our app, here are the eight strategies that app business leaders focus on to reduce uninstall rates for their apps. Determine benchmarks for time spent in a mobile app, etc. Make sure you have a means of tracking any possible consumer action – don’t just count launches and conversions. Get the data you need to optimize your experiences and crank app KPIs. Recognizing that we live in a beta culture, its’ clear that bugs are a real problem in the app arena. We need to deliver a strong performance from the outset, beta culture or not. To use the example of our hypothetical travel app, strong performance is critical from the first launch. In addition, we need to ensure that the awarding, storing and redemption of points is faultless, because those points are the app’s reason for being. Keeping initial launch processing needs reasonable, optimizing search for short query times, etc. are all going to be critical of our success. 3. Rightsizing Registration/Profiling: No one signs up for unnecessary work. It’s pretty clear that consumers think of mobile app installs on Google Play or the App Store as a low personal commitment. 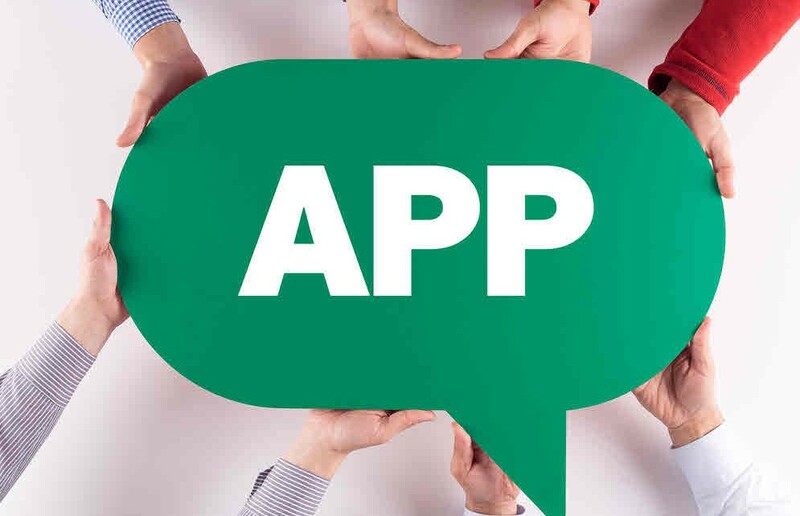 For app developers to get that initial launch experience right requires careful consideration. What information is essential to delivering a rewarding experience at the outset? What is the easiest way for that information to be delivered to you? And then there’s how we go about gathering the info. Some companies use social sign-in to speed the process. But be careful. Some people love the convenience, others don’t want all of their data and behavior tied to one account. Not to mention that millions who simply don’t use certain social platforms – at least on a regular basis. So having both options usually makes sense. Then, if you ask users to answer profiling questions, carefully scrutinize each query from the perspective of the user. Is this information that an app NEEDS? To take the example of the travel app, requesting permission to track location is intuitively a reasonable request. By contrast, if you offer social games, it may seem less essential. Remember that just because you want to know something doesn’t make it seem reasonable to the user that you require it. Consider also the opportunity to progressively profile users over time, to gather secondary information that can enhance the user experience. That way you get the info without the consumer abandoning your app for seeming too “big brother” during that critical first launch. 4. Quickly Deliver on the Value Proposition: For better or for worse, most of us strongly prefer immediate gratification to delayed rewards. Our willingness to invest time and energy into something relates to the extent to which we believe we will realize a benefit from that investment. The more distant the reward, the more we discount its value in our minds. This is particularly an important principle if your app presence on Google Play Store and the App Store promises quick benefits. Awarding 15,000 for a referral that leads to a new user. Even without making my first booking, I could receive 19,000 in just my first mobile app session. Almost half way to my goal! Now, this is a hypothetical example. But intuitively, doesn’t it make sense that someone who earns thousands of points in their first use will feel invested and be more likely to use the smartphone app again? 5. Optimize “Speed to Utility”: Now what the heck does that mean? Well, most smartphone apps perform functions that are key to their value. To use the example of our travel app, the ability to search for travel opps falls into this bucket. If we require the user to painstakingly answer a battery of 30 questions before they can conduct a search, we’re likely going to see a lot of app abandons in that registration process. It’s about balance. Getting the info you need to create a great experience, and then speeding the user to value. 6. Deliver Strong UI/UE: For many years I worked in the digital agency business, and worked with literally dozens of clients who did a great job with user experience until it came time to transact. Then the user entered a path seemingly conceived by Dante and executed by Voldemort. Strong UI/UE is even more important in apps than in websites because a core value that apps offer is a better small-screen experience. And if I can’t figure out how to use an app, I’m not gonna. Look at the navigation and design of similar apps to understand the experience that users are used to. Doesn’t mean you have to do the same things, but they are a good starting point. Try and keep it as simple as possible without making the user navigate across multiple screens just to reach a desired destination. Keep a consistent structure and organization across the app. Navigational changes cause user headaches, and it’s important to remember that the user is ultimately in charge of their time and actions, not us. Conduct continuous testing, but make changes gradual so users don’t return to an app and find themselves feeling lost and confused. 7. Proactively Cultivate Long-Term Relationships: Your responsibility as a marketer doesn’t stop at UA. Far from it. The download/install from a page on the Google Play Store or Add Store is just the first step in what will (hopefully) be a healthy long-term relationship with the user. You need to craft an ongoing marketing relationship with each user that is relevant, purposeful and welcomed. At Apsalar, we think once key to this is the ability to analyze users by associating all of their actions to a single ID and then profiling them with cohort analysis. From there we make that data actionable by enabling the marketer to define high-performing app user audiences and securely delivering them to the media partners of their choice. In addition, we also help companies deliver user data and audiences to both BI platforms and marketing automation tools so that marketers can proactively define push notifications, in-app messaging, and other experiences that are personally relevant. 8. Proactively Implement New Content and Experiences: Even the best user experiences lose their luster if they remain static. Introducing new features and content helps keep an app relevant. That could be new levels in a game, or new content feeds, or perhaps new ways to shop. Think about the PC web world for a moment, and how many one-time-leaders found themselves in the dustbin of history when they didn’t evolve their properties. For a travel app like our hypothetical one mentioned above, evolution could mean new ways of customizing searches to specific interests (think Las Vegas for couples versus a girls weekend.) There are lots of interesting opps in most categories. In travel, for example, there’s a ton of work being done right now on how to use unstructured data to anticipate traveler needs and preferences. By taking these eight steps you can go a long way towards creating long-term experiences that proactively prevent uninstalls. And with that, nail your KPIs.